Sr. Pietrina Mazzola, MPF, 96, died early Sunday morning, Nov. 25, 2018, at St. Joseph Hall, Villa Walsh, Morristown, NJ. The viewing will be held on Wednesday, Nov. 28, from noon to 4:00 p.m. in the St. Lucy Chapel at Villa Walsh, Morristown, NJ, followed by a Mass of Christian Burial at 4:00 p.m.­­­­ Interment will be in the Ave Maria Cemetery at Villa Walsh. Arrangements are by the Doyle Funeral Home, Morristown, NJ. 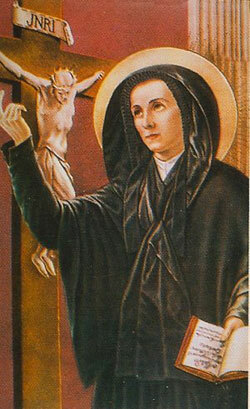 Born and raised in New York City, in 1922, Sr. Pietrina entered the Religious Teachers Filippini in 1937. She received her habit in 1938, and made her religious profession in 1941. Sr. Pietrina was awarded a BS degree in Biology from Fordham University and a MA in Administration from Fairfield University, Fairfield CT.
Sr. Pietrina taught both in the Elementary, Jr. High and High School levels in the Archdiocese of Newark and NY. and in the Dioceses of Trenton and Camden, NJ. In 1960, Sr. Pietrina moved to Connecticut where she remained for the rest of her professional ministry. She administered as principal in the following schools: St. Sebastian, Middletown, CT; St. Anthony Bristol, CT; and Sacred Heart, Stamford, CT. During these years, she will best be remembered for her annual musical production “Melody Time.” Although Sr. Pietrina retired in 2009, she continued to volunteer her time at St. Peter, Torrington, and then the Montessori School at Queen of Apostles in Bristol, CT. Visiting hospitals and nursing homes were also part of her continued ministry during these years of retirement. 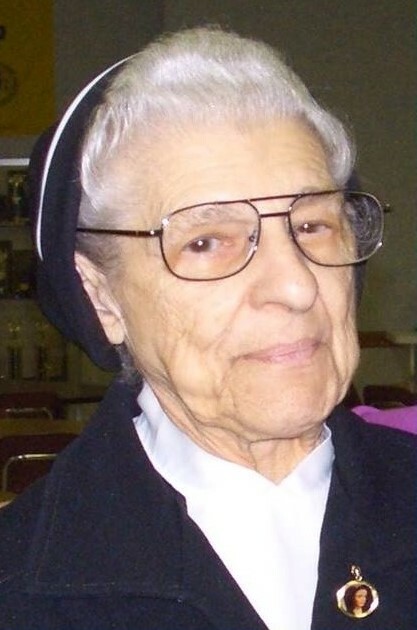 Through her many years in Connecticut, Sr. Pietrina also served as local superior. She further ministered as Provincial Councilor for the Queen of Apostles Province for two 6 year terms. In 2004, Sr. Pietrina received the Pro Ecclesia Award from the Diocese of Bridgeport, CT, a papal award conferred for distinguished service to the Church. Sr. Pietrina became a resident at St. Joseph Hall, Home Healthcare Center for the Filippini Sisters in late September 2018, two months prior to her passing. She will always be admired as a faithful community member of the Filippini Sisters. Sr. Pietrina was predeceased by her parents Santo Mazzola and Rosalie (Ferdico) Mazzola, brother Peter and her sisters Nancy Termine, Ida De Maio, Santa Scerbo, and Grace Gaetano. She is survived by sister Josephine Leone and many devoted nieces and nephews.